Ia��m still on holiday mode. The short break on the beautiful isles of the Andamans lifted my spirits and rejuvenated my aching body. (Ca��mon you guys, working and socialising can tear the Mickey out of you!). So, now Ia��m back to the grind, working, meeting deadlines and wearing a pretty face for the evenings. Back home, all bronzed by the sun and the sea, it was party time again. The Times Food Guide awards throws its annual bash where the chefs from all the winning restaurants are felicitated. This is followed by a scrumptious dinner where all the award winning restaurants proudly let you sample the cuisine that got them there. The lovely rooftop garden of the ITC Gardenia was the perfect venue, where the a�?influencersa�� and the socialites gelled beautifully. 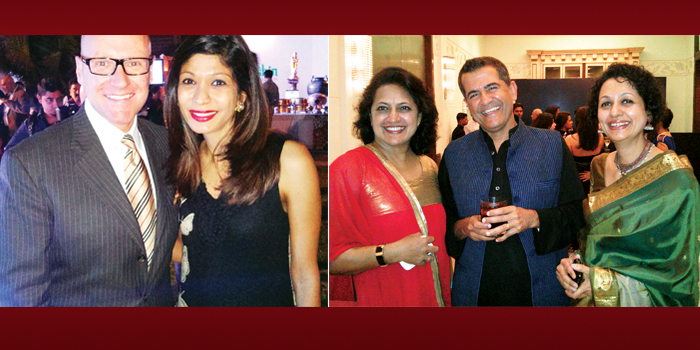 The weather was excellent and the mix of haute cuisine paired with superb wines made for a perfect evening. Ofcourse like every year there was a veritable rush for invitations (if youa��re not in then youa��re out dahlings). The ones that were left out had the usual excuse of, a�?we were committed elsewherea�� (yeah right! ), and thus, another eventful Bangalore night came to a close. Sometimes I wonder what I would do without this daily dose of drama. Life would be unbearably boring for sure. For all the social dramatics that exist, there is a wonderful warm and nurturing side to Bangalore as well. This was evident at the Make a Wish gala carnival that was organised by ExpatLife India. Over 300 under privileged children had their wishes come true by the tireless efforts of Ema Trinidad and her friends who worked at a feverish pace to put a smile on their faces. It was wonderful to see people unselfishly rise to the occasion. Their smiles rocked my world indeed.